When it comes to big epic road trips, Oregon might not be the first destination that comes to mind. You might first think of Route 66 or the American Southwest or maybe road tripping up the California coast. But the truth is that Oregon is one of the most diverse states in the U.S.
Oregon has a beautiful coastline, snow-capped mountains, desert-like landscapes, volcanoes and waterfalls, and even a wine-growing region. And in just 10 days you can experience a little bit of everything. 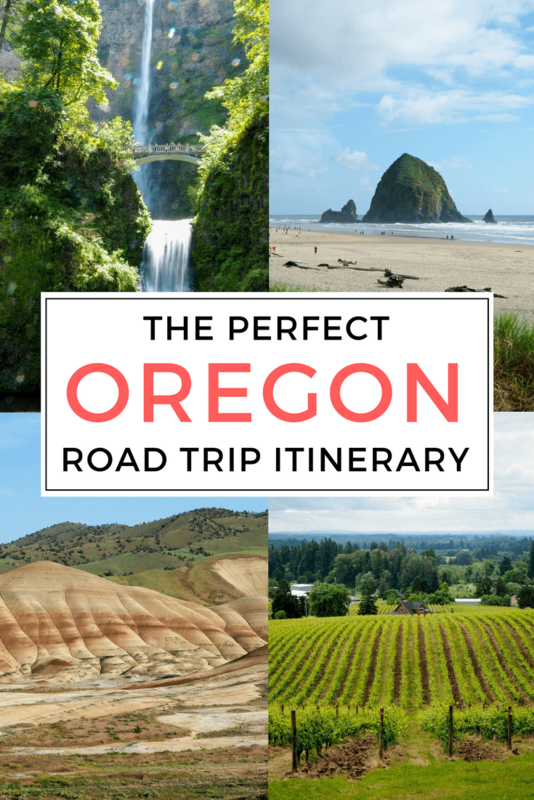 If you're looking for a unique summer road trip this year, here's my suggestion: go to Oregon! Flying in to Portland, Oregon's cool and funky largest city, is the best way to start your Oregon road trip. Depending on what time you arrive, I recommend getting acclimated to the city by taking a stroll downtown or perhaps through Tom McCall Waterfront Park. 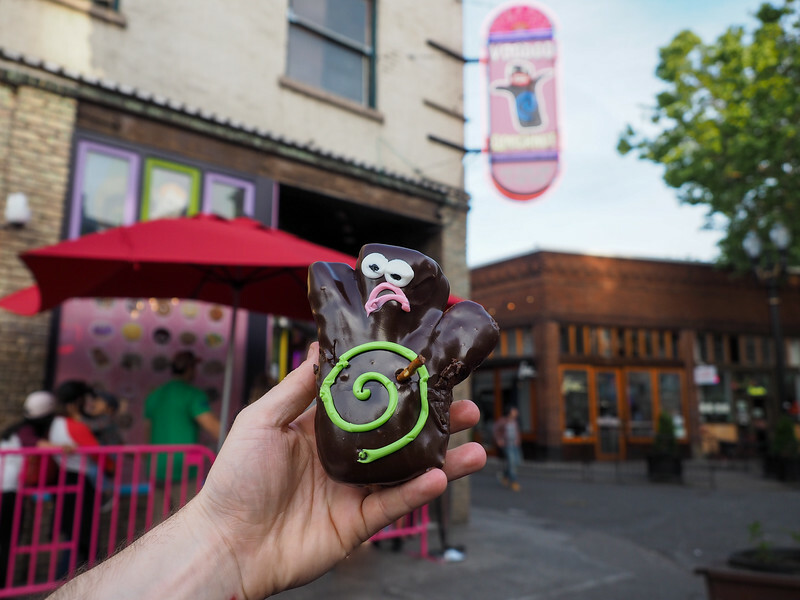 Where to eat/drink in Portland: Some of our favorites included Blue Star Donuts + Coffee (a great alternative to Voodoo), lunch at Grassa (which makes homemade pasta dishes), and dinner at Bottle + Kitchen (right inside our hotel). This is your day to fully explore Portland. Spend time getting lost in the stacks at Powell's City of Books, take a relaxing stroll through the fragrant International Rose Test Garden (or maybe the Portland Japanese Garden right across the street), grab lunch at one of Portland's famous food cart pods (you'll find more of them open for lunch than for dinner), and brave the line to get a famous Voodoo Doughnut. 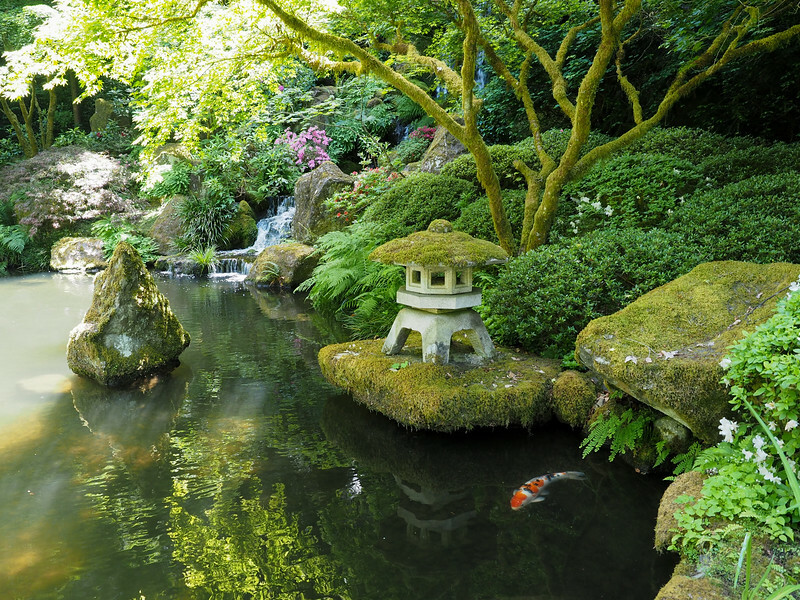 RELATED: Which of Portland's Top Attractions are Actually Worth It? Where to eat/drink in Portland: You can't come to Portland, the home of the food truck phenomenon, and not get at least one or two meals at a food truck pod! You'll find them all over the city. 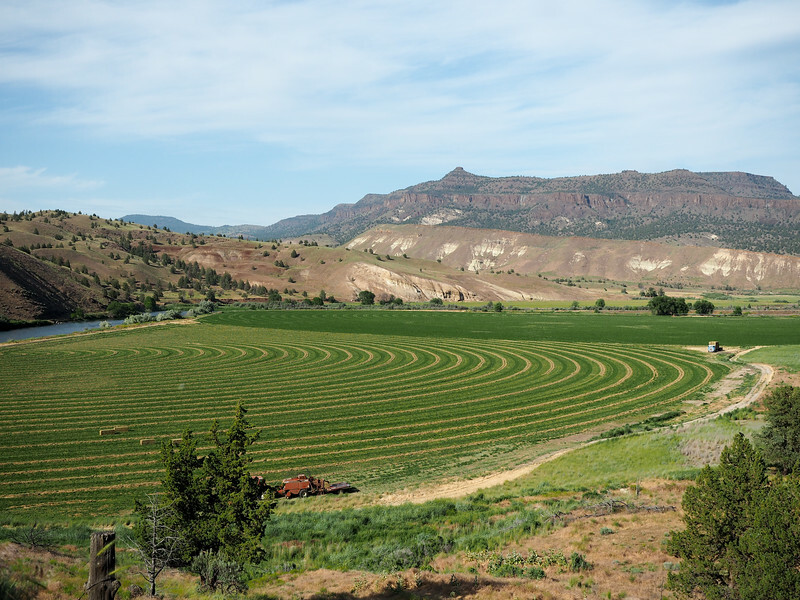 Did you know that Oregon has an award-winning wine region? Because it totally does! 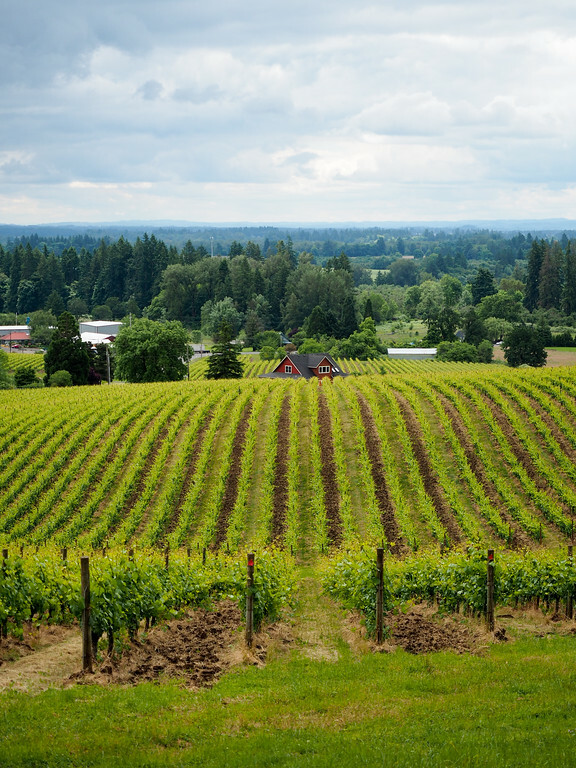 The Willamette Valley is home to more than 500 wineries, most known for their Pinot Noir. The prime wine-growing region stretches from just south of Portland through Salem and down to Eugene, and the good news is that the region makes for a pretty easy day trip from Portland (Salem is just an hour away on I-5). After picking up your rental car, I recommend spending the day in the Willamette Valley. Some of the most popular wineries include the Eyrie Vineyards, Domaine Drouhin, Elk Cove Vineyards, Chehalem, Argyle Winery, Sokol Blosser, Rex Hill, and Willamette Valley Vineyards. 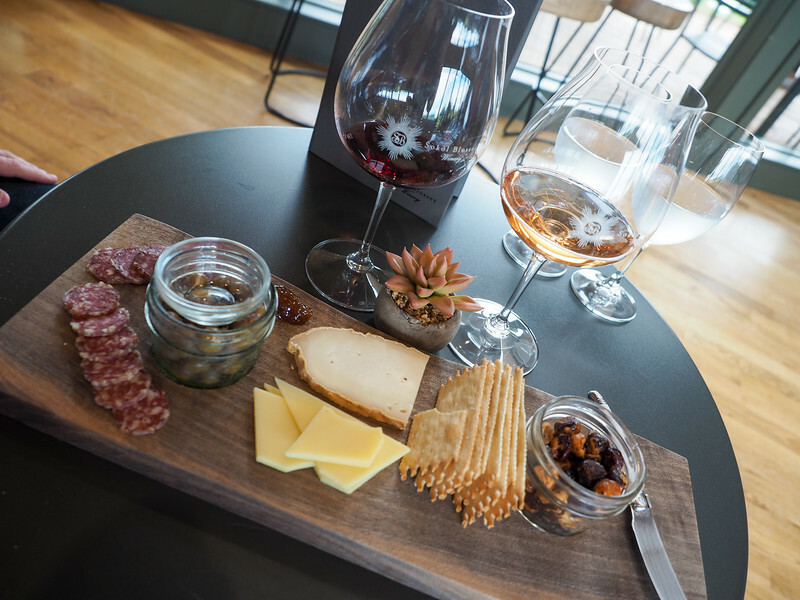 A couple wineries offer tours, but most just have tasting rooms that you can enjoy. When researching our road trip, I bought a , and in it saw a photo of a beautiful winery on a hill overlooking the countryside and a bright red farmhouse (see above). I decided that this was the winery I most wanted to visit – except that the photo had no caption! An hour of Googling and visiting various winery websites later, I figured out that this was the Sokol Blosser winery, one of the oldest and most famous in the Willamette Valley! We went for a wine tasting and some nibbles, and it was even prettier than in that guide book photo. Where to stay in the Willamette Valley: You can still use Portland as your base for Day 3 since the Willamette Valley isn't that far away. OR, if you'd prefer a change of scenery, there are several nice B&Bs in the area. Check out the in Dundee. *NOTE: The Gorge and some of its surrounding forest was sadly scorched in one of the large wildfires that ravaged the West in September 2017. The Eagle Creek Fire was large and dangerous, and parts of the Historic Columbia River Highway and many area hiking trails still remain closed as of November 2018. You can visit Vista House at Crown Point and a couple viewpoints, but the rest of the highlights along the highway remain closed. 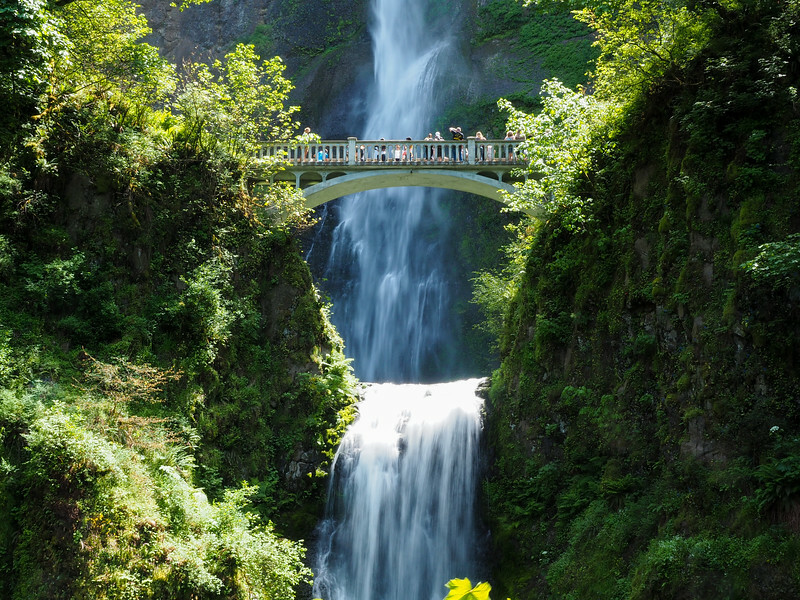 Multnomah Falls Lodge (which was thankfully saved from the fire) is also open again via the Interstate 84 parking lot, and this is the best way to visit Multnomah Falls. Check for updates at the . I'm still going to write this section though, because hopefully these areas will be cleared and safe again for visitors and hikers soon! 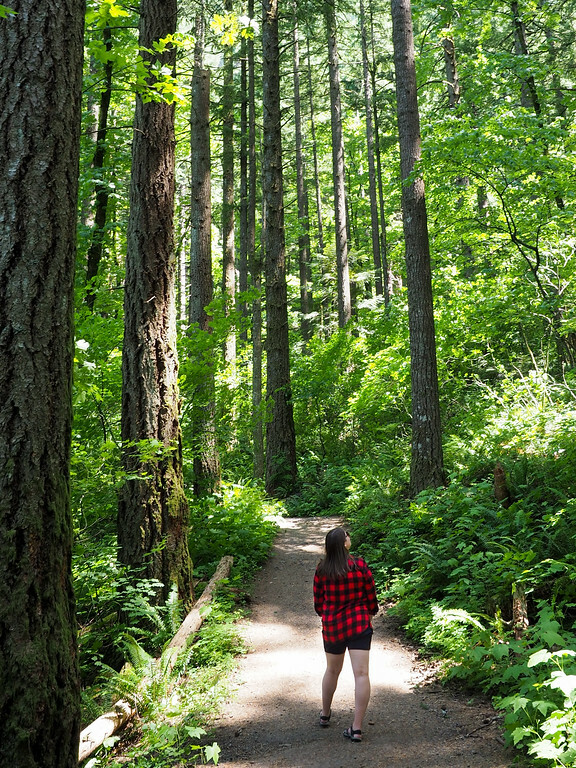 Put on your hiking shoes and make sure your camera is charged on Day 4 of your Oregon road trip, because today you're going to explore the Columbia River Gorge. This is a river-carved canyon that stretches for more than 80 miles, with the Columbia River forming the boundary between Washington state and Oregon. 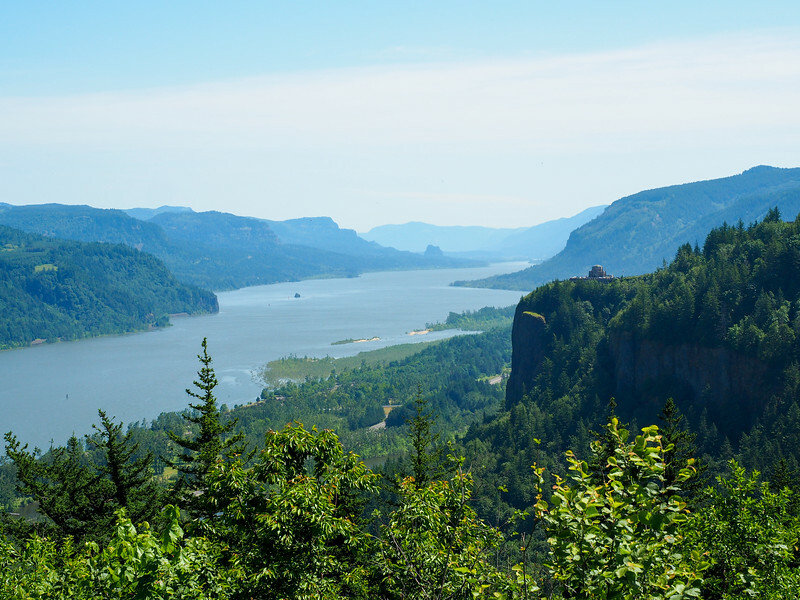 Highlights of visiting this area include driving the historic Columbia River Highway (which was the first planned scenic roadway in the United States), doing a couple short hikes, and stopping to see the area's famous vistas and waterfalls. 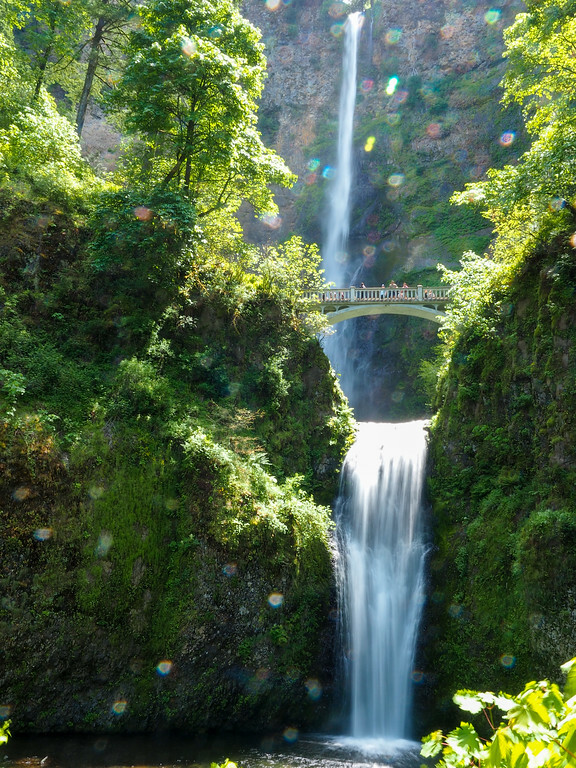 Seeing Multnomah Falls (a 620-foot double waterfall) is probably the highlight for most people who visit the Columbia River Gorge, though there are plenty of other beautiful spots to stop and see, too. Some shorter/easier hikes you might want to consider include Latourell Falls, the hike into the Oneonta Gorge (beware that you'll likely get wet), and the Elowah Falls hike. If you stay in Hood River on Day 4, you can take OR-35 south towards Mount Hood and perhaps detour to see Oregon's most famous volcano this morning. Mt. Hood is considered one of the 7 Wonders of Oregon and is home to the only year-round ski resort in North America (yup, on the slopes of a volcano!). You probably won't have enough time to hit the slopes, but you can still enjoy the beautiful views. Then it's time to continue south to Bend, the outdoor recreation mecca of Oregon. 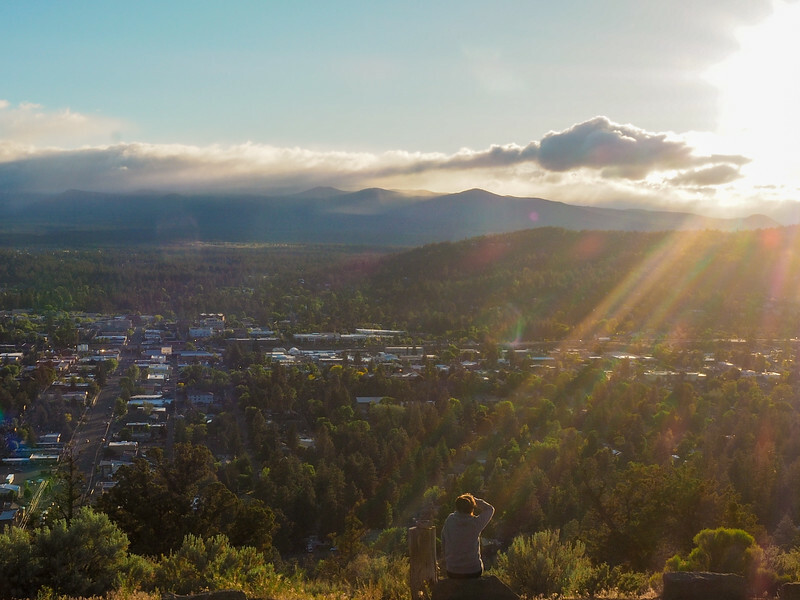 Elliot's sister lives in Bend, so that was our main motivation for visiting – but I think this cool little city definitely deserves a spot on any Oregon road trip itinerary. 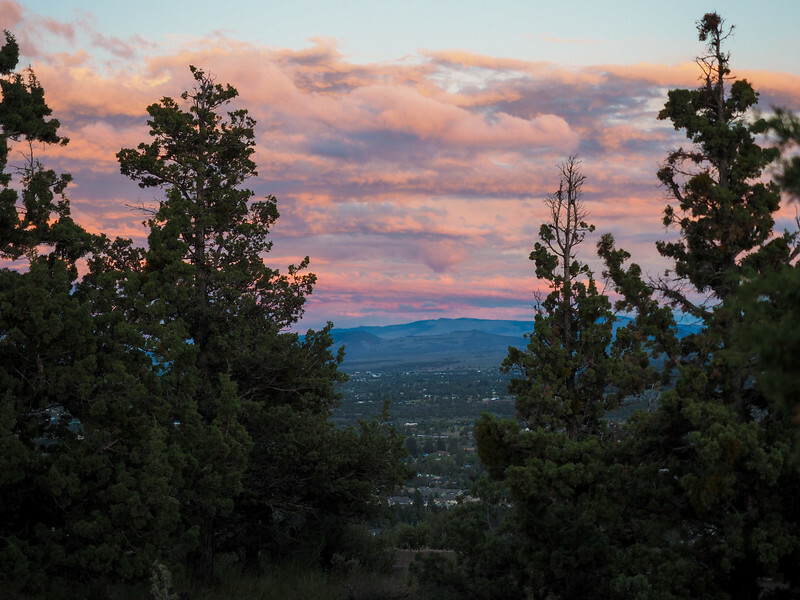 If the weather is clear this evening, head up to Pilot Butte – an extinct volcano in the center of town – for sunset. Where to stay in Bend: For a luxury stay, is the #1-rated Bend hotel on TripAdvisor. For something more budget-friendly (yet still highly-rated), go for the . If you want to be right in the middle of the action, check out , which is right downtown. Where to eat/drink in Bend: You'll want to check out Deschutes Brewery's pub at some point (they serve good food, too, as well as local brews). Or if it's world cuisine you like, some of Bend's best options include Zydeco Kitchen & Cocktails for Northwest food with a Cajun/Creole flair, Barrio for Latin cuisine, or Joolz for Middle Eastern fusion. Bend (and most of Central/Eastern Oregon) is known for its sunny days. So if you hit one, definitely spend today outdoors! Rent a bike, walk up Pilot Butte, or “float the river” through Bend like a local (this basically consists of renting a tube and literally floating down the Deschutes River from the Old Mill District to downtown Bend). 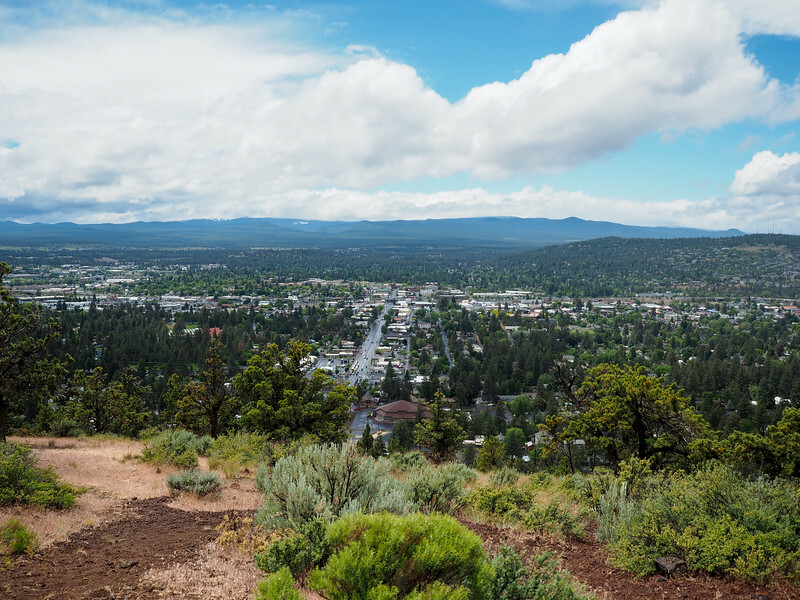 If the weather isn't ideal (it happens – it was cloudy, rainy, and cool the whole time I was in Bend in June! ), downtown Bend has tons of cute shops to explore, and there's also the High Desert Museum you could visit. And if you want to hit the road again today? Set out on the Cascade Lakes Scenic Byway, a 66-mile historic highway that will take you past mountains like Mt. Bachelor, Broken Top, South Sister, and 14 different alpine lakes. Beginning in July each summer, Mount Bachelor offers scenic chairlift rides from the West Village base area to the Pine Marten Lodge at 7,775 feet. Where to eat/drink in Bend: If you can get to McKay Cottage early enough, they serve up the best breakfast in Bend (go on a weekday if you can!). Otherwise, Bend Mountain Coffee is a great way to start your morning. You also may want to check out Pine Tavern, which serves up classic American fare in the oldest restaurant in the city. 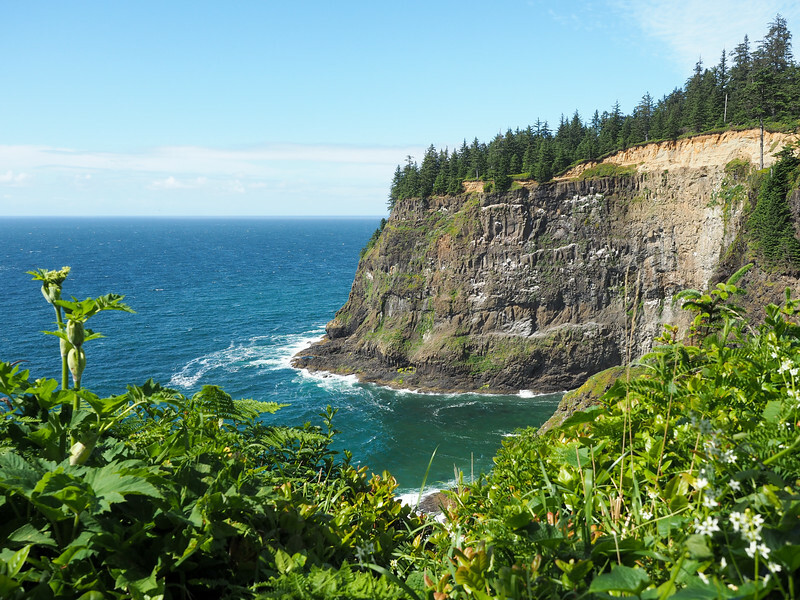 On Day 7, let's head out to some parts of Oregon that you might not find on other road trip itineraries. 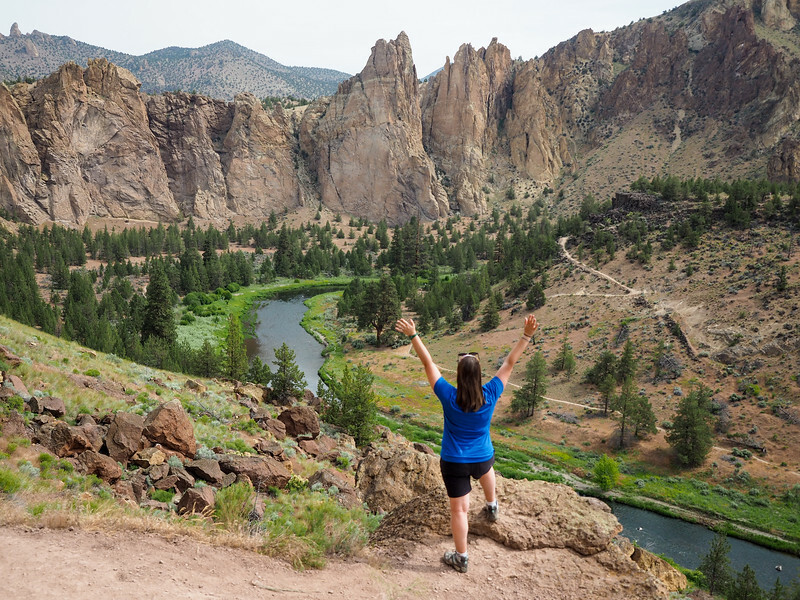 We'll start the morning off at Smith Rock State Park, about 40 minutes to the northeast of Bend. This is one of the prettiest state parks you've probably never heard of. 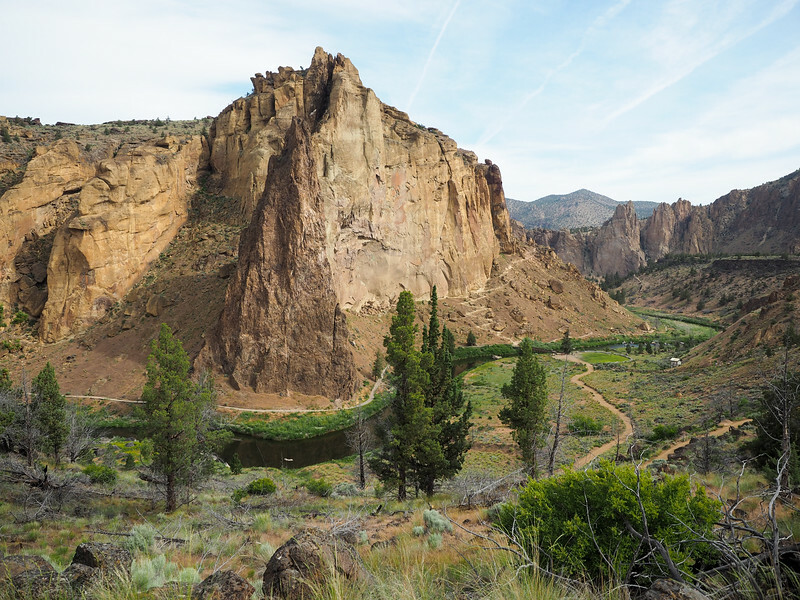 Smith Rock is known in the climbing community as “the birthplace of American sport climbing,” though there are also some great hiking trails there if rock climbing isn't really your forte. Elliot and I tackled the Misery Ridge trail (it's challenging, but not as awful as its name makes it sound), which took us about two hours to complete. 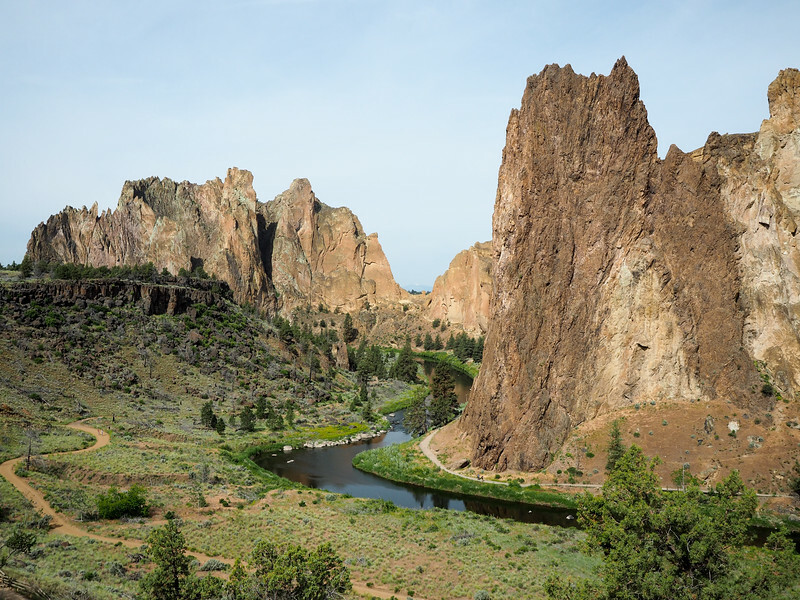 If a vigorous hike doesn't sound like a great way to spend your morning, there are easier trails along the Crooked River to check out, too. From Terrebonne, you'll keep going east into Eastern Oregon. This part of the state is woefully overlooked by most tourists (my Fodor's guide dedicates only 38 pages to the entire eastern half of Oregon! ), but the drive is worth it. 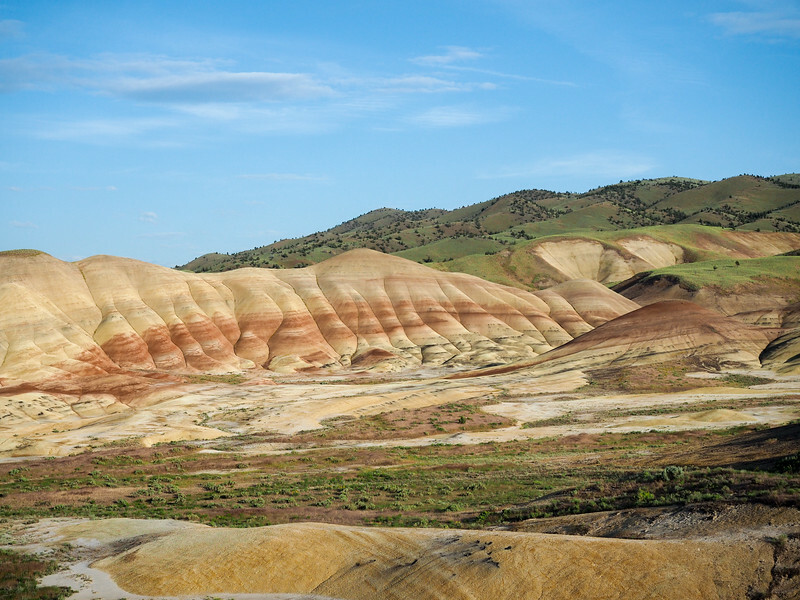 Your destination is the Painted Hills unit of the John Day Fossil Beds National Monument near Mitchell, Oregon. You know those photos of the Rainbow Mountain in Peru that are popping up all over the internet? Yeah, well you can see essentially the same thing in Eastern Oregon – but minus the strenuous hike, high elevation, and huge crowds! 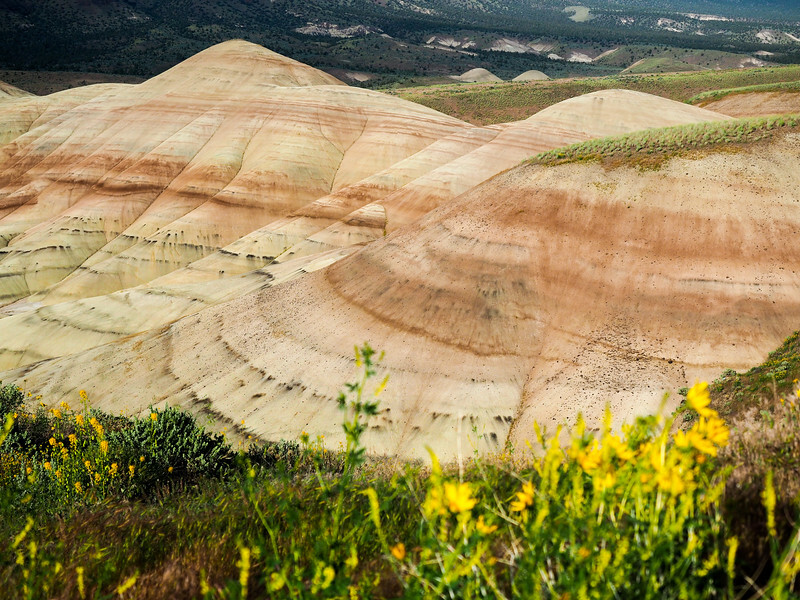 The Painted Hills really do look like they're painted, and are usually best viewed/photographed in the late afternoon and right before sunset. There's a scenic drive to take through the park, as well as a handful of short trails to hike around the hills. Afterwards, it's just about 2 hours back to Bend. You'll want to make Day 8 an early one so you can head to Oregon's most famous national park: Crater Lake! It's only about 1.5 hours from Bend/Sunriver to the northern entrance to Crater Lake National Park, so leaving early means you can basically spend the whole day exploring. Coming from the north entrance station of the park, you'll skirt Crater Lake for a while on your way to the Steel Visitor Center, where you can watch a film about the lake and get park information. From there, you can either backtrack the way you came to drive the full 33-mile scenic loop drive, or continue on from the visitor center and go counter-clockwise around Crater Lake. The top thing to do at Crater Lake in the summer is to take a two-hour park ranger-led boat tour around the lake. You can get tickets at the historic Crater Lake Lodge (which is also worth visiting). But note that getting to the boat dock requires you to hike down (and eventually back up) the Cleetwood Cove Trail, which is 1.1 miles one-way and has an elevation change of about 700 feet. This is the only trail that leads down to the lakeshore. If the strenuous hike isn't going to work for you, don't worry – there are plenty of lookouts and shorter hikes around the lake that you can still enjoy. Check out viewpoints like Discovery Point, Phantom Ship Overlook, and Cloudclap Overlook. And easy/moderate hikes like the Castle Crest Wildflower Trail (best in July when wildflowers are blooming) and the Watchman Peak Trail are also worth checking out. *NOTE: The road around Crater Lake is usually only open from late June to early October each year; if the area has seen a lot of snow, the road may not even open until early/mid-July. So if you definitely want the full Crater Lake experience, you'll want to plan your Oregon summer road trip in July or August. Where to stay at Crater Lake: The historic would be a great splurge, but rooms book up months (sometimes a year) in advance. My advice would be to stay between Crater Lake and the coast tonight, maybe at the in Prospect, Oregon, or the in Shady Cove. 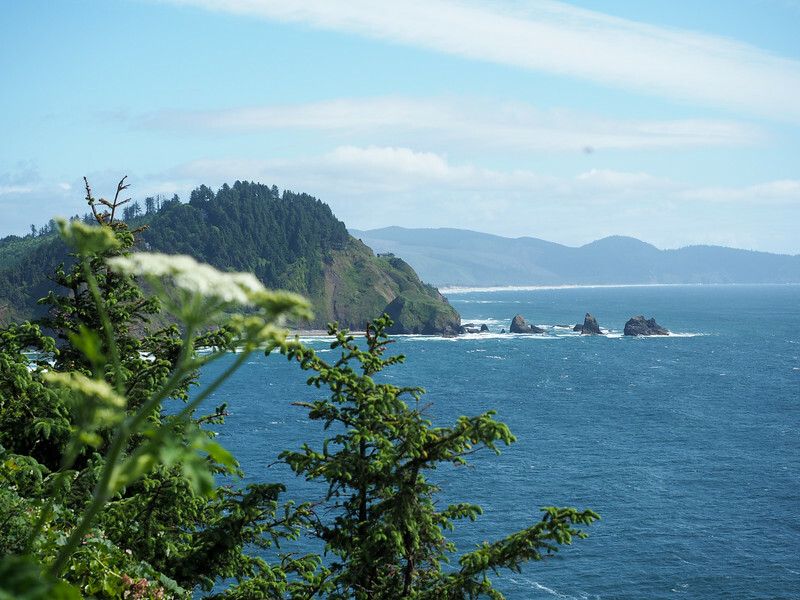 Today it's time to head to the coast, because no Oregon road trip would be complete without a day or two spent driving up Oregon's stunning coastline. If you stay in Prospect or Shady Cove on Day 8, it won't take you long to meet up with I-5. I would take this north to Sutherlin/Union Gap and then head west to the coast. 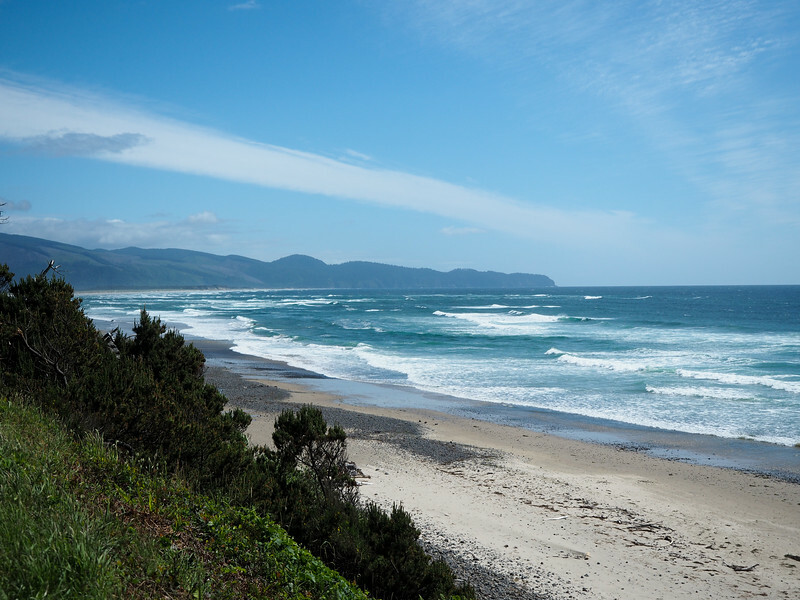 This route will spit you out in Reedsport, near the bottom of the Oregon Dunes National Recreation Area, which stretches all the way up to the town of Florence. Spend some time exploring the dunes, and then begin your drive north up the coast on the 101. Some stops you might want to make this afternoon include the sea lion caves in Florence, the small town of Yachats, and the Yaquina Head Lighthouse (the tallest lighthouse on the Oregon Coast) in Newport, which is where I recommend stopping tonight. Where to stay: I recommend staying tonight in Newport, a little more than halfway up the Oregon Coast. Check out the or the . Where to eat in Newport: Newport is often called the “Dungeness crab capital of the world,” so you can bet they have some great seafood to try here. There are plenty of restaurants to choose from, with Local Ocean Seafoods and Georgie's Beachside Grill both coming highly recommended. Today will be a more leisurely drive up the rest of the Oregon Coast, with plenty of time to stop at beaches and eat lots of seafood. Depoe Bay, which is famous for whale watching. Pacific City, known for its laid-back vibe and nice beach. Tillamook, where you can detour to visit a cheese factory. 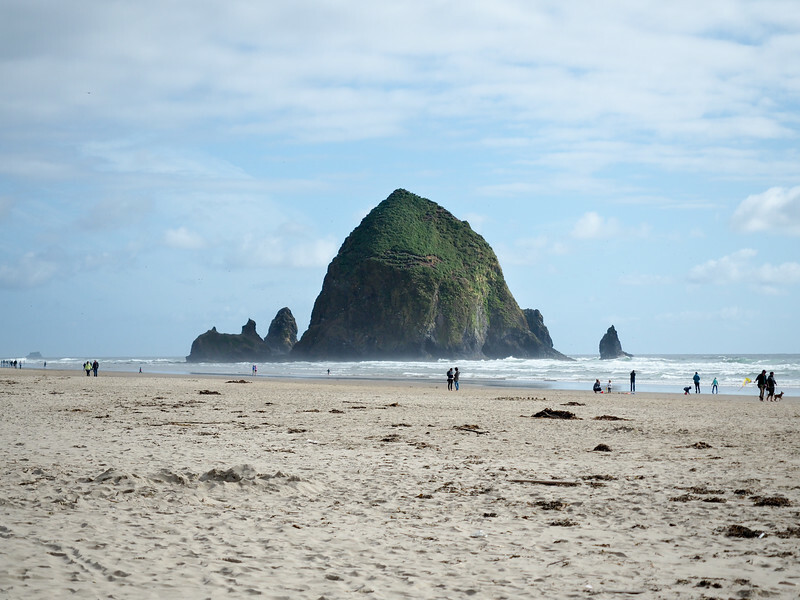 Cannon Beach, with its famous Haystack Rock. Cute coastal towns like Manzanita and Seaside. Astoria, the oldest city west of the Rocky Mountains. 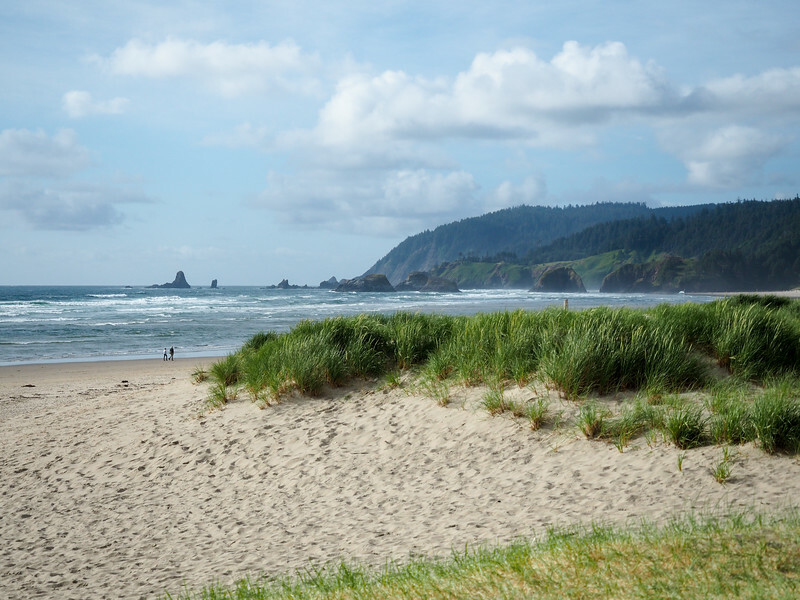 Of these spots, Cannon Beach and Astoria are really the must-visits. Cannon Beach is the beach you see on all the postcards, and Astoria was founded in the early 1800s and named after John Jacob Astor. Where to stay in Astoria: For a luxury stay, it has to be the #1 hotel in Astoria: the . Meanwhile, historic hotel lovers might enjoy . From Astoria, it's only a 2-hour drive back to Portland. If your flight leaves later in the day, spend a few more hours enjoying the coast, or maybe head back to Portland for one more food cart meal. And on the flight home, you can start dreaming of your next trip to Oregon! Looking for packing suggestions for Oregon? Head over to this post: USA Road Trip Essentials: What to Pack for a US Road Trip. Some must-haves include good hiking/walking sandals like , a raincoat like the , and a reusable water bottle like the . Have you ever done a road trip in Oregon? If not, are you ready to plan one now? Wonderful read! Oregon has been on my bucket list for some time now. And, thanks to this article, I’ve added a few places to my MUST SEE while there. Smith Rock looks amazing! Not sure when I’m going, but I’m ready. Amazing place! Wonderful photos! I would love to visit Portland, especially because one of my teachers were from Portland and she told us a lot of stories about this magnificent place. 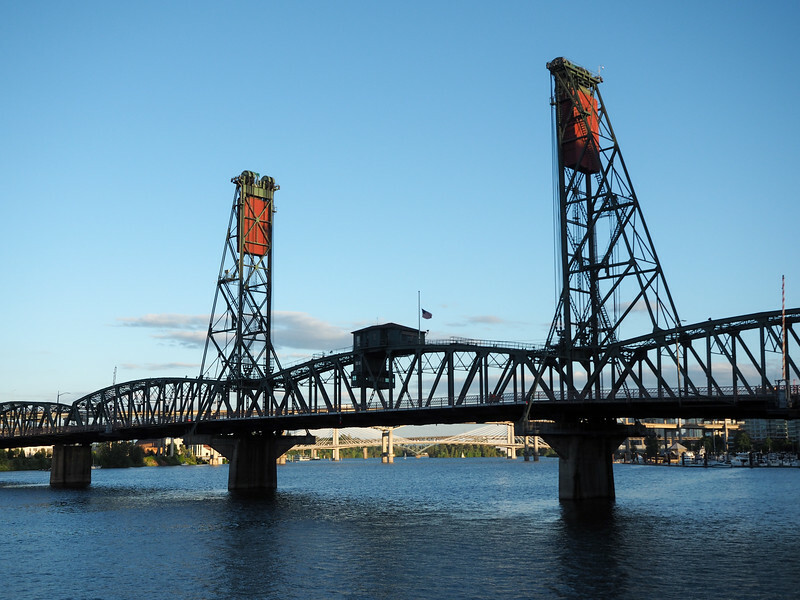 Portland is a very cool city, and it seems to just get more popular every year! What a great itinerary. 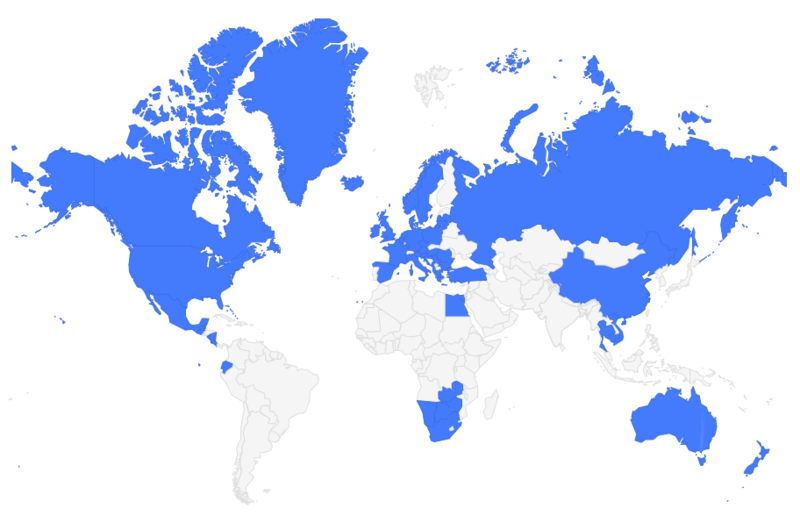 I have been to most places though on various trips. I think one but road trip sounds amazing but a decent amount of driving as well. Looks like you had good weather and fun experiences. Thanks for sharing. 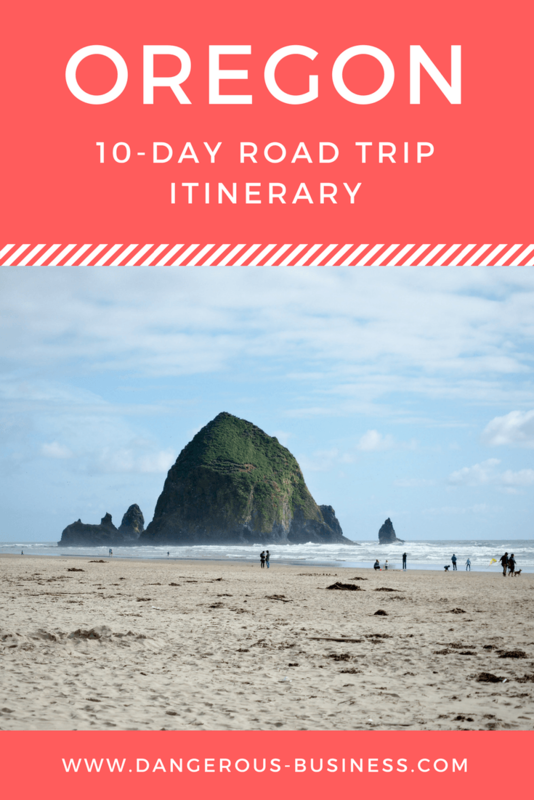 Yup this is definitely a true road trip with a decent amount of driving – but I think it’s a nice mix of sights and attractions and I would definitely do it again! This looks amazing! I hadn’t ever considered a trip to Oregon but in the past few months I’ve seen a couple of things about it that have made me think about visiting! This post has convinced me. 🙂 Planning to spend some time in Vancouver this year so a road trip down the coast might have to be part of it! There you go! 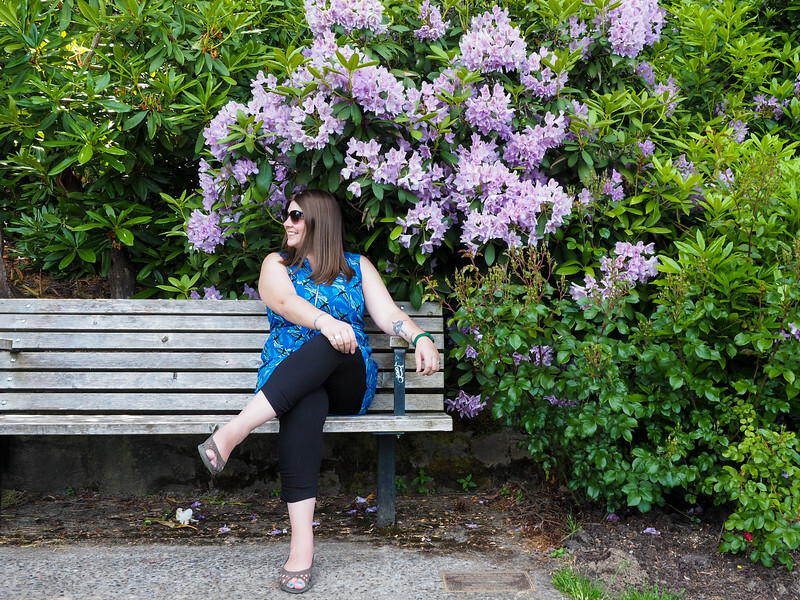 Lots of people gush about Seattle and Portland, but there’s a lot more to the Pacific Northwest than just those cities! I had a blast exploring Oregon, and can’t wait to go back again. Great to hear! I don’t think you’d regret it! Great article! It’s making me reconsider putting Oregon above Washington for a potential summer family trip! I haven’t traveled as extensively in Washington, but there’s definitely a ton to do/see in Oregon! I love a good itinerary! You actually already sold me on Oregon when you mentioned Powell’s City of Books in Portland. I have to go there! It’s amazing! We spent quite a while roaming around (the rare book room was my favorite! ), and I probably could have spent hours more! Portland is a target city for my year long ‘live in 6 different cities’ so thank you for this introduction………..
It’s definitely a popular city! And if you do spend some extended time there, be sure to get out and see more of Oregon, too! This is such a perfect road trip destination, Akatuki! I will definitely have to consider Oregon as a good travel destination! It was a really fun road trip; we’re already planning another one for next year! Beautiful write-up and yes the photos are very good. Thank you! 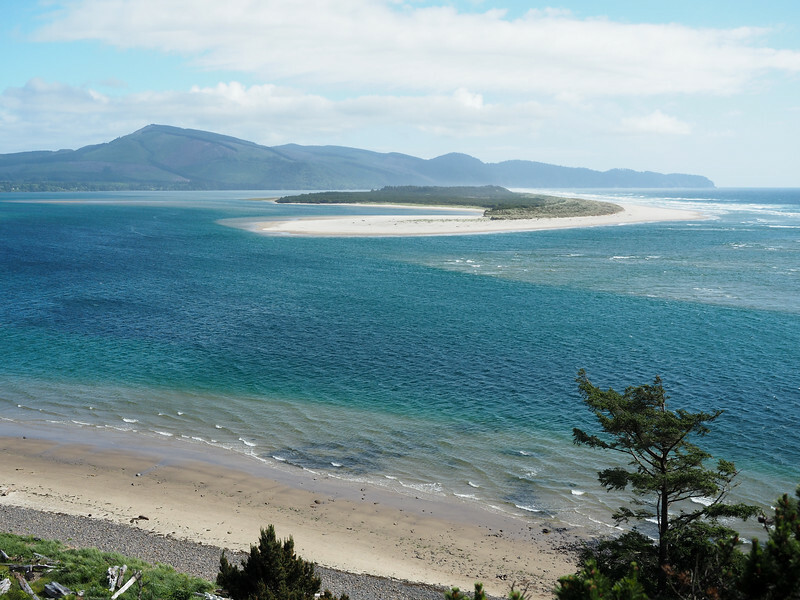 It’s a very photogenic state – so many beautiful things to see! 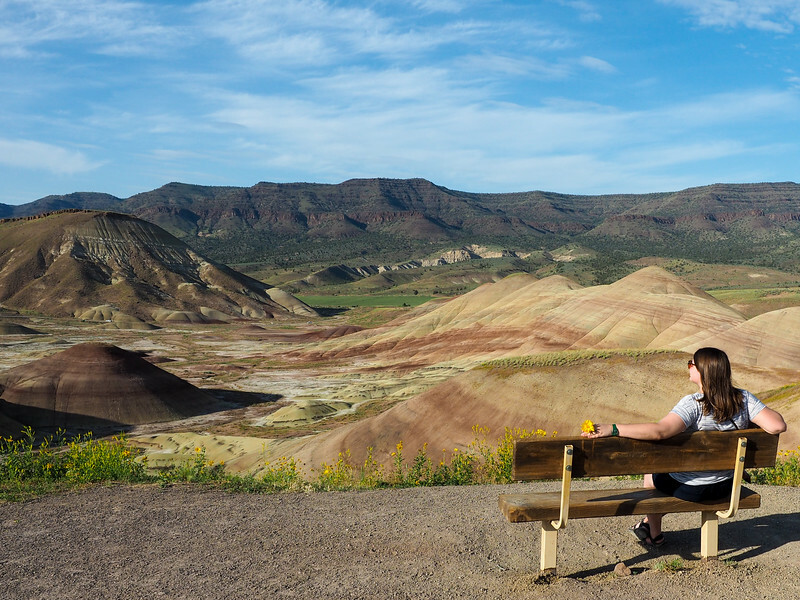 My husband and I and friends rented an RV this summer and did your exact itinerary with one exception – we saw Smith Rock but missed the Painted Hills as we headed to Maryhill Winery in Washington instead. What a beautiful – and diverse – state! Loved it! Glad to hear you loved it, too! You should definitely do it, especially if Scott hasn’t been back at all! Oregon is awesome. There’s nothing I love better than a pre-prepared itinerary, especially when I’ve never been to the country before. We’ve been over the border in Canada and stayed in NYC but the rest is on our bucketlist. What a diverse road trip this is. The first WOW was Multnomah Falls and then the fabulous painted hills landscape. I always breathe an inward homecoming sigh when we reach the beach again and I can just picture us walking along Cannon Beach. I’m glad you shared this gem of a road trip with us. Hopefully you’ll be able to try a similar road trip for yourself sometime! Portland isn’t the capital and I’d have to spend at least a day in Ashland but there is some good stuff on this list! This place looks so serene and the pictures are simply perfect. Thank you for adding one more place in my travel bucket list. I’m always adding places to my list, too – glad I could add one to yours! Great write up, Akatuki. You sure got to see and experience a lot of the state! 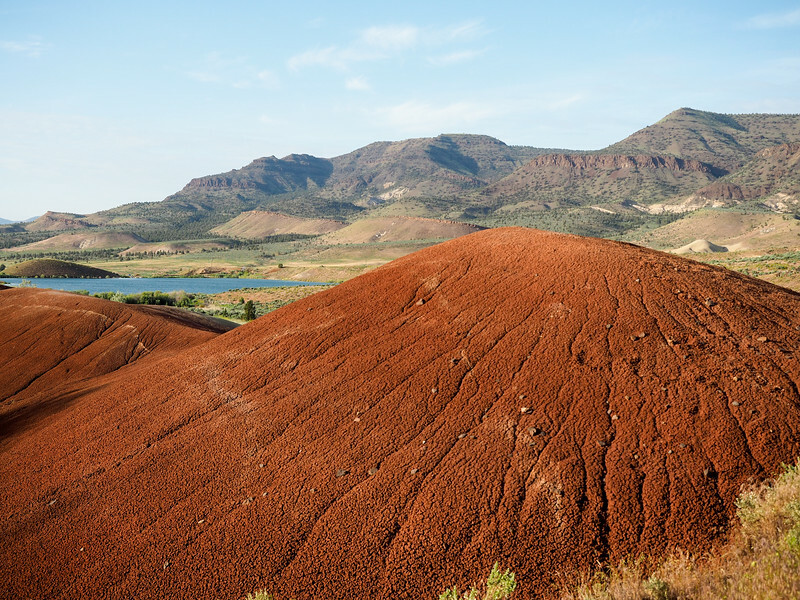 When you return next year and get out by the Painted Hills, be sure to travel on the A Road Trip Back In Time Scenic Byway, as well as dig for fossils in Fossil, OR. The Travel Oregon web site has some excellent information on Oregon’s scenic byways, and there’s also a great series of Oregon Road Trips books now available. Thanks for the tip! We’ll definitely check out more next time! Bend isn’t really that large of a city, so I don’t think it makes a huge difference where you stay! If you stay downtown, you’ll be within walking distance of restaurants and shops the night before. Don’t forget to try an Ocean Roll when in Bend. Think cardamom mixed with a carcinoma roll, they are to-die-for! You can find them around town at a few coffee shops, such as Backporch or Sparrow Bakery. Oooo I did not hear about this when I was in Bend! But my sister-in-law lives there, so I’m sure I’ll be back again soon! Will put it on the list for next time. Planning a road trip through Oregon for this summer. Glad I found your post…great start as we plan our trip. Happy to be able to help! There are lots of cool spots to visit in Oregon. My husband and I are planning a trip for late September. Would this itinerary work for that time frame? Yes, this would work for that time frame, too!